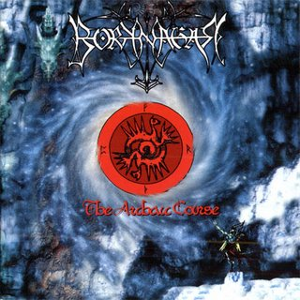 The Archaic Course is Borknagar’s third studio album and their first to feature ICS Vortex (Simen Hestnæs) on vocals replacing Garm(who, according to Øystein Brun, “didn’t want to scream anymore”), along with the addition of guitarist Jens F. Ryland. The album also features guest contributions from Enslaved guitarist Ivar Bjørnson, although he was not listed as part of the band in the credits. This is also the last album to feature the original drummer and one of the founders of the band, Erik “Grim” Brødreskift, before he died from a drug overdose.